Last week while I was helping a client prepare for a webinar, I ended up giving her a pretty sweet plan that might come in handy for you, too. This article will help you with the first step in using a webinar to connect with your customer base: preparation. Whether you’ll be introducing a new product or discussing an important industry trend, you’ll want to prepare ahead of time and with the end in mind – what’s the goal for your webinar, what’s the ideal outcome – sales, appointments, demos, awareness? ? Further, you’ll want a solid plan for driving attendance and making sure your webinar runs smoothly from start to finish. (even if you’ve never done one before) Click here to learn more. If you’re doing a webinar with a guest, get on the phone or a Zoom call and chat briefly about what you both expect the webinar to cover. Using notes from that call, go ahead and make a show outline. In addition to creating a list of topics or points to be covered during the webinar, ask your guest about some questions you might add to the Q&A following the presentation. If you’re in a pinch, without enough questions from attendees, you can keep the conversation going with some questions your guest is ready to answer. Also, use your notes to write an opening that welcomes guests and tells them three or four things they’ll learn by attending. You can throw in a short bio of the speaker; just enough to hook viewers right away. If they want to know more, they can always do a LinkedIn search. Finally, add some kind of a show close to your outline. Thank everyone, including your guest, for attending. Provide contact information and any other links once again. Define your call to action—something you want attendees to do after the webinar, like sign up for a demo or appointment, make a purchase, download a checklist or a summary of the webinar’s main points, or visit a website for bonus information. Whatever you choose to do, get clear about it ahead of time so that you can build it into the webinar naturally and logically. Another thing you’ll need to decide is who’s going to help you out during the webinar by managing the chat box, gathering attendee names and contact details, and giving attendees a way to interact with the guest or presentation. This person will need a copy of the show outline with notes about when to display a particular URL, email address, or even an image or diagram to complement the discussion. Plan a rehearsal with your guest—and assistant, if possible. Depending on your show or webinar, you may choose not to run through the full webinar but instead keep it fresh and spontaneous. Still, practice enough that everyone feels comfortable and understands the plan. Make sure that audio and video work properly and that the guest’s backdrop, lighting, and camera angle are OK. (Would you like a checklist of technical tips and considerations? We’re thinking of putting one together…) Run through the notes, but if it’s an interview style, you can decide that if the conversation goes off-topic into something interesting, that’s fine. The show outline will be there to help everyone get back on track. Explain how you’ll welcome attendees, make sure they can hear OK, and even ask them a few questions before throwing things over to the guest. Find out if questions from attendees will be OK, and agree on how you’ll take care of that. If you know your guest has a good story or two to tell, mention that you might ask about them if the mood seems right. Remind your guest to smile and pause from time to time, ideally at natural transitions between topics. This will make editing much easier! Some studies show that 20 minutes is about the right length for a webinar, with another 10 minutes for questions. Let your guest know that you’ll keep an eye on the clock and move things along if necessary. If you get the sense that your guest is a bit nervous about presenting, which people often are, you can assure them that you’ll make them look good and help get through any awkward spots. Once you get your show notes finished and do your rehearsal, it’s time to promote the webinar on social media. Use LinkedIn or Facebook to send people to a nice signup page—something with a nice title and graphic, a headshot of your guest, or even a little video. I’ve had great results just using a short clip from the rehearsal call on Zoom. Get the guest to talk about the webinar topic, what people will get from attending, and what they’ll be able to do by the time it’s over. Adding that little bit of video is a great way to engage folks and get them to sign up. Use text and email to send confirmation and reminder messages to people who register. If you take care of all these things prior to your webinar, you’ll make it easy for your webinar guest to share their expertise and you’ll help each attendee get as much out of the experience as possible. How to Create and Deliver Webinars that Crush Your Marketing Goals (even if you’ve never done one before) Click here to learn more. Every time I run a webinar, I start about 10 minutes early and welcome attendees as they come online. This is a friendly way of putting attendees at ease. You can confirm that their audio and video are OK and ask where they are from and so on. As more and more attendees join, mention the chat box and ask them to enter their geographic location, or the sector of the industry they work in, or what kind of weather they’re having. You’ll not only create a shared discussion but also get attendees comfortable with the idea of using the chat box. Plus, attendees will know for certain that they are part of a live event! As you greet attendees and prepare to open the webinar, your show assistant can manage the chat box and gather a list of attendee names. The two of you should have some kind of back-channel—Skype or texts work well—by which you can communicate and orchestrate different aspects of the show. You’ll want to establish a similar back channel with your guest(s), just in case you need to let them know their hair is sticking up or a pet cat has snuck into the background. Leading into the show opening that you prepared in advance you can give attendees contact info for the guest—email, Twitter, Facebook, LinkedIn—in case they have further questions following the show. With that, you’re ready to go! Using the show open that you wrote prior to the webinar, go ahead and introduce the guest speaker. Provide a brief bio, reiterating whatever contact information the guest has agreed to provide, and remind attendees about what they’ll be learning during the webinar. Note that the presentation will be about 20 minutes and that a Q&A will follow. You then can hand things off to your guest. As your guest digs into the webinar topic, follow along using your show notes. In addition to coordinating chat box questions and notes with your show assistant, you’ll want to keep an eye on the clock. If your guest is spending too much time on a particular topic, feel free to step in and provide a transition to the next topic on your list. Alternatively, you can acknowledge how much there is to know about that topic and remind guests that they can post questions for the Q&A at the end of the webinar. 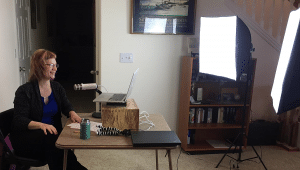 Not every webinar will go perfectly. Be ready for the possibility that yours doesn’t. Once I had a guest see an urgent email and let me know he needed to deal with something immediately. I had to jump in and take over until he could come back to the show! It went fine, (a little improv for sure) he returned, and we jumped right back into our show and continued delivering value to our attendees. For smaller breaks, it’s OK to ask attendees to stand by while you check your mic or some other technical element. Just remember that well-timed pauses going into and out of these breaks can make it easier to edit out these moments for the webinar replay. If, throughout the show, you and your show assistant have collected questions and come up with some of your own, you’ll have the material you need to make sure that attendees find the Q&A to be worth the stay. Use this period to be sure that attendees got the information and insights they were promised. If neither the guest nor attendees have anything new to add, pose some forward-looking questions that you discussed in advance with your guest. Conclude with some speculation on what might come next. Then, move into your show close. As you close with thanks, your guest’s website or contact details, links to further action, you can present your amazing offer. Your call to action is what you want attendees to do after the webinar, be it to sign up for an event, download a summary of the webinar’s main points, download a demo, buy your amazing product, or visit a website for bonus information. This is your parting gift to each attendee, and you can use it to end the event on a high note. You planned for your webinar and pulled it off with success! Take some time after the webinar to send a thank you to attendees. You can say “thanks for coming” and offer them a link to the webinar replay—edited if necessary—or to a convenient summary of the presentation. 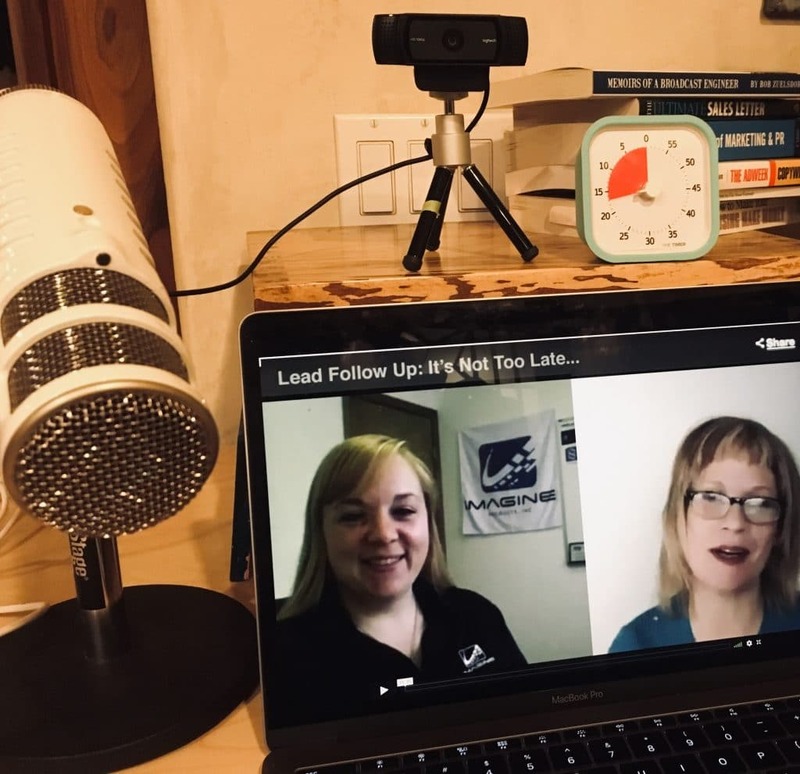 If your webinar is promoting a product or service, attendees will be in your sales funnel getting info about your irresistible, high-value offer. Send a follow-up text message to attendees, ask them if they have a question you can answer. Help them take the next step in your sales funnel. For those who didn’t make it to the event, you might send a “sorry we missed you” note along with a link to the webinar replay, just in case they have questions or know of someone else who was interested but couldn’t attend. If you’re comfortable with some simple editing, go ahead and make a highlights reel. Offer this condensed version to people who didn’t attend. Acknowledge that they’re busy. Let them know that some great things came out of the webinar and that you’ve compiled the highlights in a 15-minute executive summary version. Figuring out what your attendees care about and digging into the problems they have are great ways to determine the topic of your webinar. 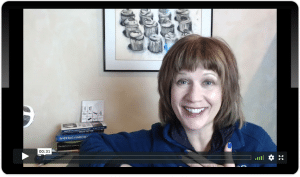 Decide what success looks like for you what results do you want from your webinar? Do you want to inform, book some demos, or make sales? Next develop a solid plan that details the “before,” “during,” and “after” elements of your webinar.